- You should be concerned if your child is not speaking in single words by 18 months or using two to three word sentences by two to three years of age or if they're not answering a simple request by age one or a two-step demand by age two. That's a good time to call somebody for some help. - A lot of developmental milestones involving sounds and language in kids during the first two or three years of life. A baby of two or three months of age should be babbling, cooing, making sounds. A baby of four, five months of age should be babbling more, should be answering you. A six or seven month old baby should be developing consonants. Could be a "mama" or "dada," just as likely a "gaga" "baba". Through the second half of the year, nine, ten, eleven months of age, baby should be understanding words. They should understand words that come next to their name. Most kids under a year of age don't actually have words. A lot of them say "mama" or "dada" or "dog". In the second year of life there are much bigger milestones to observe. There should be a progression. A 12 to 14 month old, again should be understanding a lot of what you're saying, can't talk much at all. They should be understanding simple requests. "Where's the doggy? Where's daddy?" In the second half, in the middle of that second year, 15, 16, 18 months of age, you got a real critical time where kids should be adding words to their vocabulary. Sometimes it's very slowly, especially in boys, but there should be more words month by month. You can read very rigid guidelines that a child of 18 to 24 months of age should be forming two word sentences, a child of 27 months of age should have three word sentences. This isn't invariable. It's not so much the point of time, as the continuum. 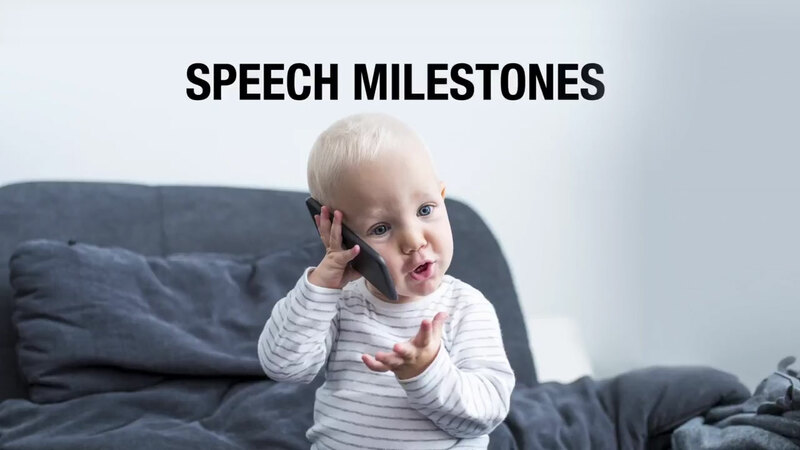 Kids should have more and more words from 18 to 24 months of age and if you have any doubts, evaluation of language, speech therapy, are really good interventions that should be done earlier rather than later.